A funny, poignant, laugh-and-cry-out-loud (sometimes at the same time) novel about the art of surviving a masterpiece of dysfunction. 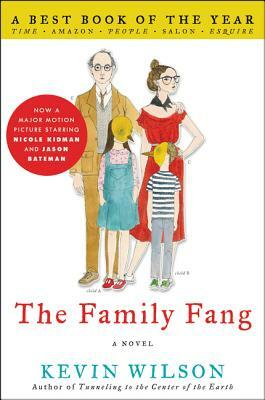 Meet The Family Fang, an unforgettable collection of demanding, brilliant, and absolutely endearing oddballs whose lives are risky and mischievous performance art. Annie and Buster Fang have spent most of their adult lives trying to distance themselves from their famous artist parents, Caleb and Camille. But when a bad economy and a few bad personal decisions converge, the two siblings have nowhere to turn but their family home. Reunited under one roof for the first time in more than a decade and surrounded by the souvenirs of their unusual upbringing, Buster and Annie are forced to confront not only their creatively ambitious parents, but the chaos and confusion of their childhood.